Today could have been tough. With their building closed due to possible mold issues, Coleytown Middle School 6th and 7th graders moved to Bedford Middle School. Eighth graders headed to Staples High. No one knew what to expect. The day went great. Staff adapted. Students smiled. There were warm welcomes all around. And it started even before the Coleytown youngsters entered their new schools. This sign outside Bedford said it all. 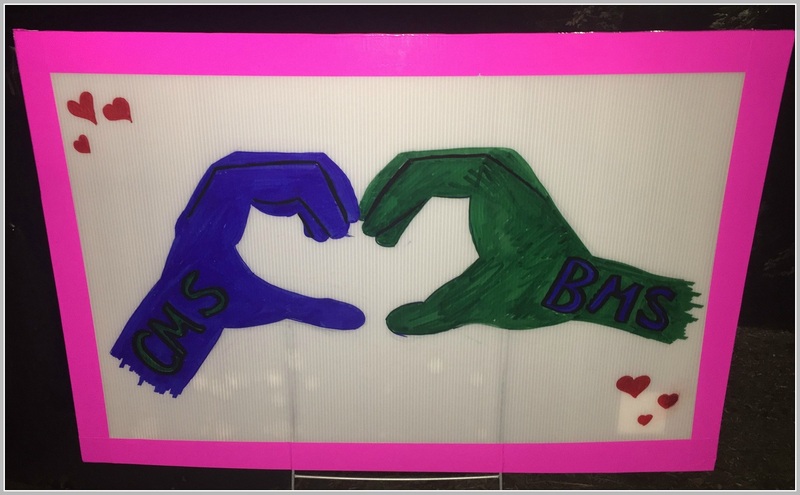 This entry was posted in Education, Pic of the Day, Staples HS and tagged Bedford Middle School, Coleytown Elementary School, Staples High School. Bookmark the permalink. Never underestimate the tenacity of the human spirit. When the going gets tough, the tough go to Bedford. Thanks! We need to remember this comment. It applies to many situations we find ourselves in. This experience may actually be a positive formative one for the students giving them a base to build on as they go forward in life.